Construction Hauling – Saving You Time & Money! 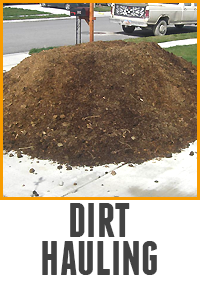 Welcome to the website of Construction Hauling, your number one source for debris hauling and professional Bobcat services. Our experienced team has many years in the business and can account for countless hours of experience and on the job knowledge. 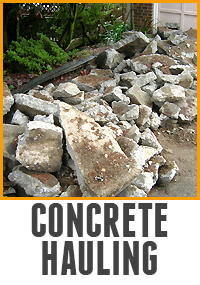 We are committed to providing only the best services to our customers and work hard to meet and exceed your expectations on service level.Contacting ConstructionHauling.com means that you have hooked up with one of the best in the industry. Providing services to the greater Los Angeles and surrounding areas, you can count on us to be there when you need us.Take a look around our website and read up on the services we offer to both our Residential and Commercial customers. 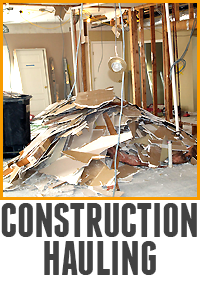 Here at Construction Hauling, we are committed to offering our customers the best and widest range of services when it comes to hauling and debris removal. All of our equipment is maintained and checked on a daily basis in order to get these heavy duty jobs done for our customers. 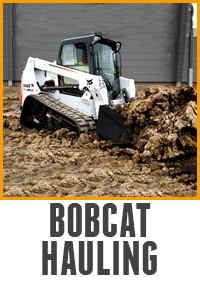 We offer Bobcat Services, Concrete Hauling, Dirt Hauling and Construction Debris Hauling for the lowest prices in the city of Los Angeles, the San Fernando Valley and the San Gabriel Valley. Our team of workers are trained and experienced when it comes to any of these tasks. We are a family operated business and wish to treat all our customers as part of our extended family. For years we have serviced various commercial and residential clients and have made the task of hauling services a smooth transition for them when working on a project.